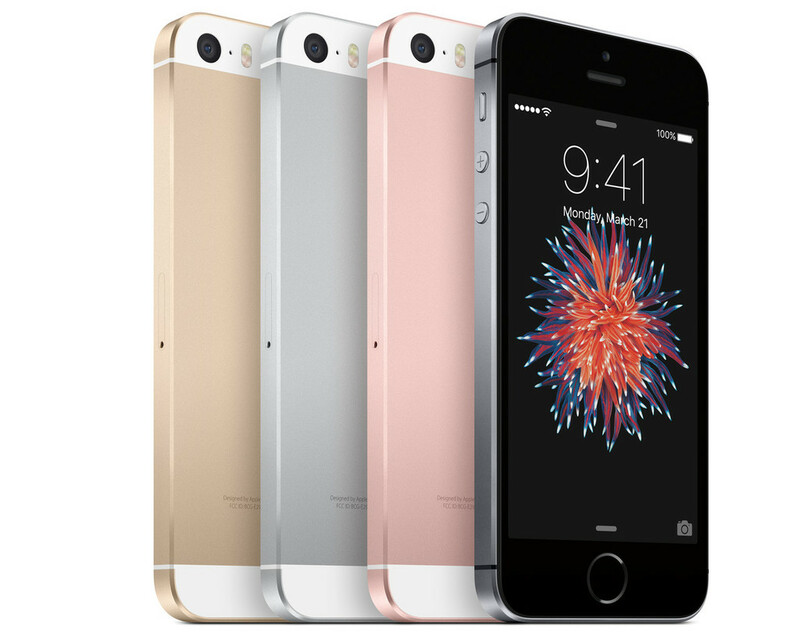 Did Apple's 'iPhone SE' event really loop us in? It’s all over: Apple’s most recent media event, during which the Cupertino company unveiled a slew of releases (for the last time ever at its Town Hall venue, we might add), has come to a close, with CEO Tim Cook making his final comments to the packed out room. 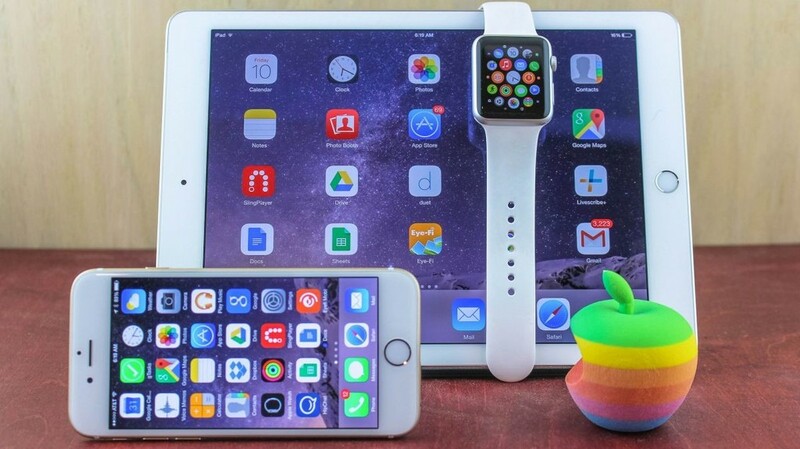 The event didn’t bring the next-generation “iPhone 7,” a second-generation Apple Watch, or a new Apple TV (we’ll have to wait until September to learn more about some, or even all, of those), but there was a new four-inch iPhone handset and new iPads for Cook and his team to introduce to us all. But looking back, what do we think, and will this event go down in Apple history for all the right reasons? I feel more than ever that Apple has pleased the masses with today’s event in two distinct ways. First, let’s talk iPhone. 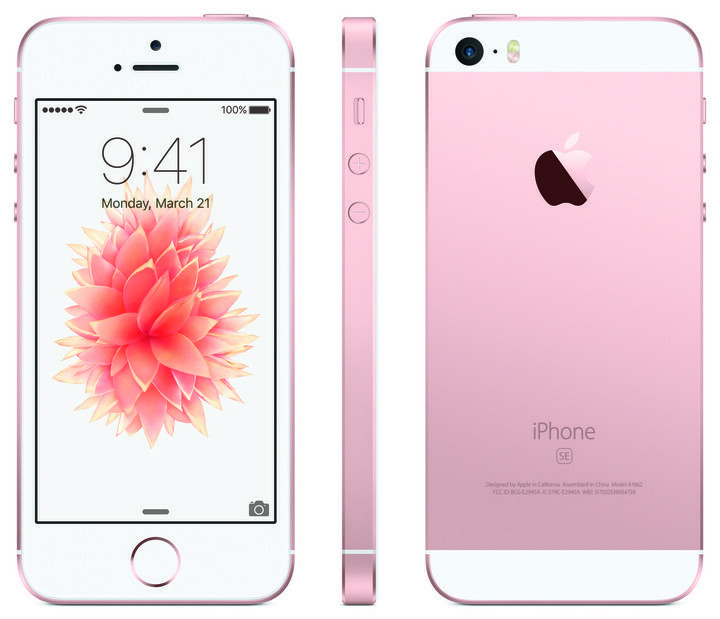 Today saw Cupertino unveil its anticipated next-generation four-inch iPhone handset, the iPhone SE, and through doing so it’s finally acknowledging that for some customers in 2016, a 4.7-inch iPhone is still too big. 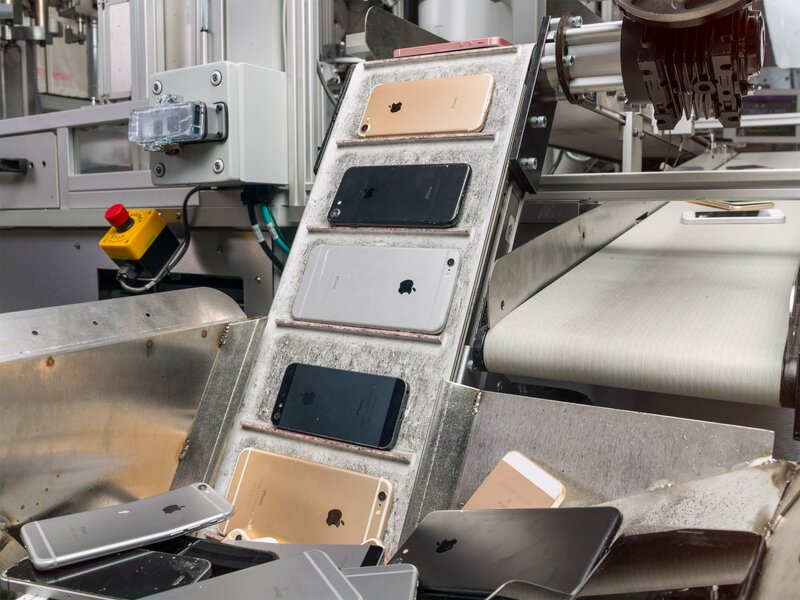 Though I’m a Plus user and have been since the 5.5-inch smartphone first became available, it’s nevertheless apparent that a ton of customers still enjoy the feel of the iPhone 5, 5s, and 5c, and aren’t willing to upgrade to the larger 4.7-inch iPhone 6 and 6s. Today, Apple solved that problem. Instead of forcing this demographic towards a handset they aren’t comfortable with (and potentially towards a competing manufacturer), Apple has released a capable four-inch iPhone handset. This was a smart, if expected, move. Because, yes: while I do love my iPhone 6 Plus and iPad Pro, for some, smaller really is better. And the iPhone SE will clearly fix this for Apple’s customer base. Make no mistake: the iPhone SE is a capable handset. In fact, it offers all the power of the iPhone 6s, just without support for 3D Touch. So, now more than ever, customers have a reason to upgrade their iPhone and stay inside of Apple’s smartphone ecosystem, rather than switching to a competing handset (or holding on to the ageing four-inch device for years on end). 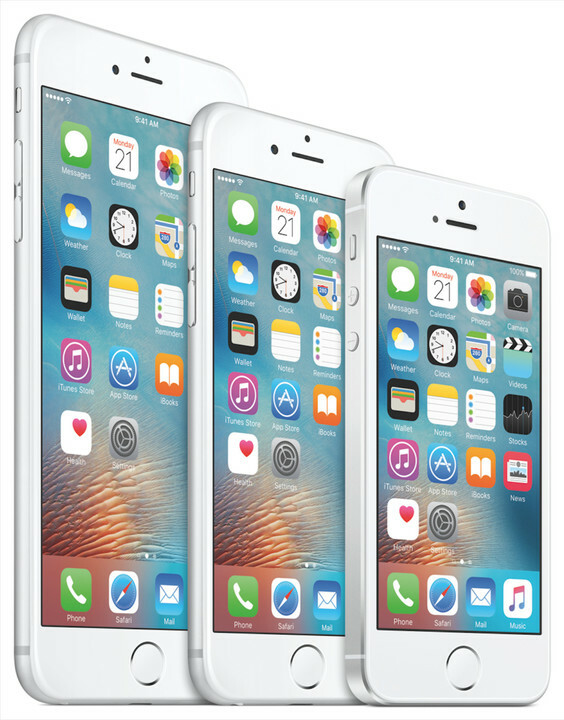 And at the same time, the iPhone now also mirrors the trio of display sizes offered by the iPad line. There’s small (four-inches, 7.9-inches), middle (4.7-inches, 9.7-inches), and large (5.5-inches, 12.9-inches). Smart move, Apple. I know a lot of folks who’ll be really pleased with today’s news. Heck, you can even use your old iPhone 5/5s cases with the iPhone SE, too. What more could you ask for? However, a product release I can better identify with came when Apple unveiled its new iPad. 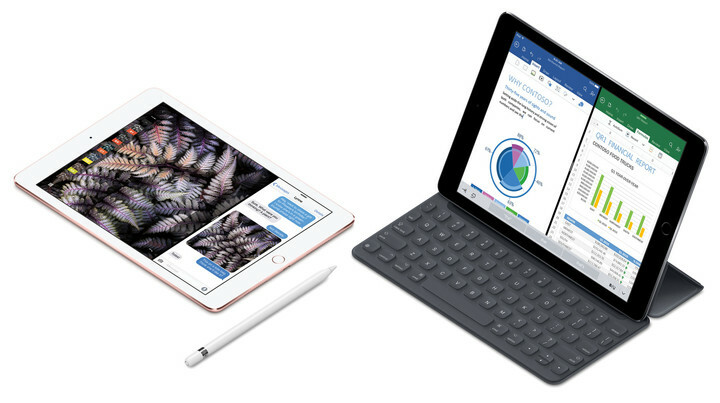 When the original iPad Pro was unveiled, I opted for the bigger tablet for two reasons: the Pencil, and the Smart Keyboard. I’ve felt for a long time that the tablet’s accessories have really sold a lot of iPad Pros, and that the Apple Pencil, in particular, is hands-down the most “magical” product release from Cupertino. The problem, or trade-offs, with the iPad Pro were (and still are) its price and size: it’s bigger than my 12-inch MacBook, possibly heavier, and the least mobile device that runs Apple’s mobile OS, iOS. The iPad Pro indeed also carries a “pro” price tag, too. As such, the Apple Pencil’s magic doesn’t come cheap: on top of the cost of the iPad Pro itself comes the price of the stylus, don’t forget. It’s safe to say I haven’t seen any iPad Pros in the wild here in England. The least expensive iPad Pro will set you back $799. Add onto this the cost of a $99 Apple Pencil and a $169 Smart Keyboard, and you’re looking at an expensive product for sure. And perhaps more significant, each person who sees the Apple Pencil in action asks if it works with an iPad Air or even an iPad mini. Nobody I speak to wants to use an iPad this big (apart from me, of course: I’ve grown to really love the iPad Pro’s huge screen), but everyone wants an Apple Pencil to use with a 7.9- or 9.7-inch tablet. Well, today, that’s precisely what Cook and his team unveiled, along with a smaller size Smart Keyboard designed for the 9.7-inch iPad Pro. 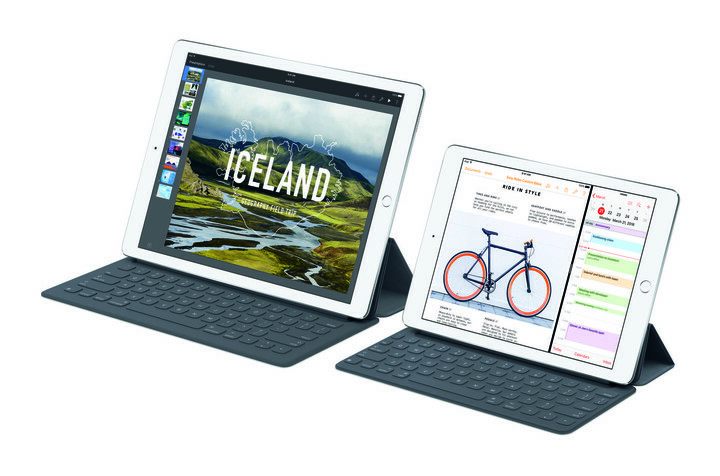 The 9.7-inch iPad Pro is a logical next step in the evolution of the iPad. It carries the same powerful processor, giving the tablet more processing power than most PCs, and it uses the Smart Connector to allow for intelligent accessories. 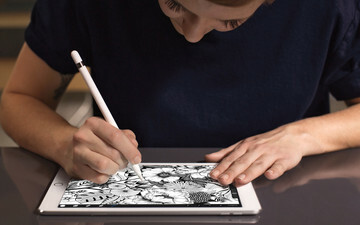 Of course, support for the Apple Pencil will draw a lot of folks to the 9.7-inch iPad Pro, too (no pun intended). But there’ll also be a pull towards the device for people who want a powerful, computer-replacing tablet, but who don’t want a 12.9-inch behemoth of an iPad. However, the smaller 9.7-inch iPad Pro does more than just port “pro” features over to the smaller display, and this was something I was pleased to see. There’s a 256GB option (a configuration that’s also reached the 12.9-inch iPad Pro), and a smart display that senses the color temperature in a room and adjusts itself automatically. Phil Schiller, speaking on stage, described this is a groundbreaking improvement, noting that users won’t want to go back to the old technology after trying it out. Personally, I can’t wait to take a closer look. 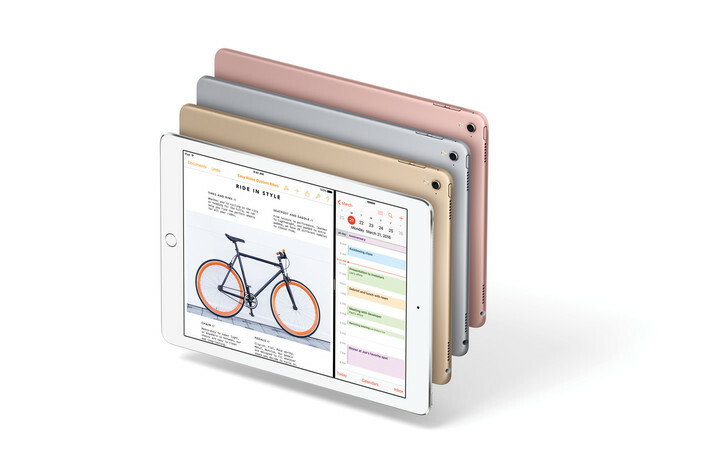 I think Apple has played a wise albeit predictable move with the release of its smaller iPad Pro. I’m truly using my iPad Pro for around 80-90 percent of my daily computing. I’m beginning to consider now how essential the 12.9-inch screen is in facilitating the kind of work I’m using the larger tablet for. I wouldn’t be surprised if in a year’s time I’ve switched to the 9.7-inch device, though at the minute I’m unsure. 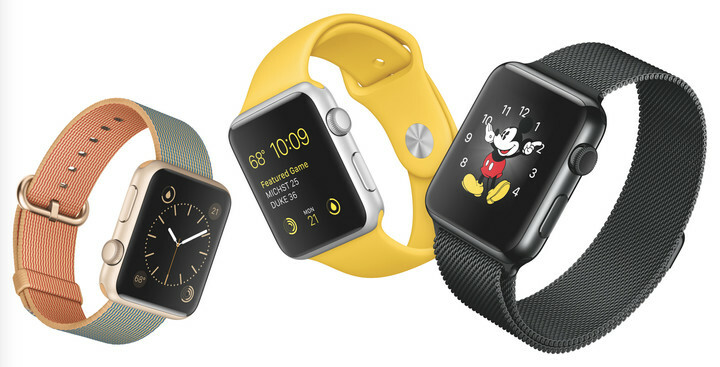 There are also new bands heading to the Apple Watch, just like we thought. These bring a range of luxury colors to the timepiece (ahead of an anticipated second-generation release later this year), and though I’m still enjoying my Classic Buckle, I’m nevertheless interested in checking them out. It’s also definitely a smart move to discount the Apple Watch to $299. This is not just an affordable price that’ll attract more customers to the platform, but it’s also a move that indeed heralds the launch of updated hardware. I think the new bands really do look great, and I’m especially pleased to see a low-cost alternative to the Sport Band. Apple’s Woven Nylon band is available in a bunch of colors and provides owners of the smartwatch with another option to choose from when it comes to picking up a band for under $50. Before now, I’ve struggled to wear the Sport Band for any length of time. 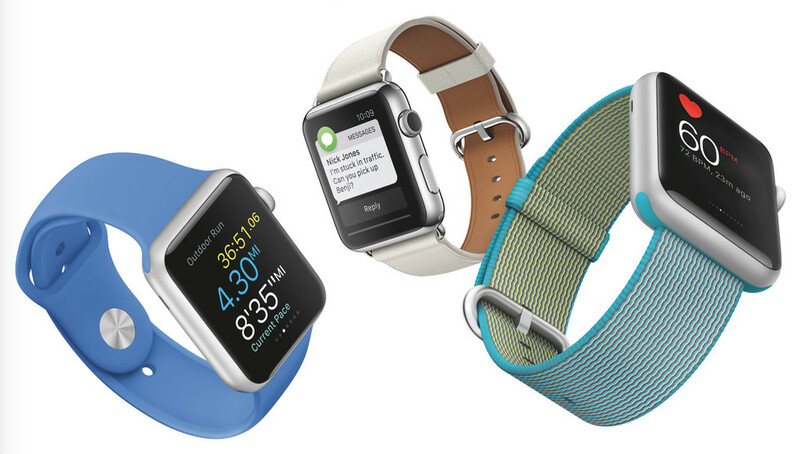 The Woven Nylon band could actually be my next purchase from Apple. CareKit and Apple’s continued work on ResearchKit are to be commended, the revamped tvOS features (including folders, Dictation — thank goodness! — iCloud Photo Library, Siri for the App Store, and more) will be much appreciated, and iOS 9.3 is a great release for iOS device owners. 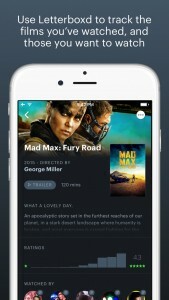 Night Mode, in particular, is a feature that could completely change your relationship with iOS (and the kind of sleep you’re getting on a night). I’ve been using it as part of the iOS 9.3 public beta for a month or so, and I’m really excited to hear how Night Mode helps folks once it’s in the hands of the masses. The bottom line, then, is that this last media event from Apple’s Town Hall venue was a great one. And there are a lot of product releases that I, for one, can’t wait to take a closer look at in the coming weeks. Keep an eye on our main page for the rest of today’s news as it hits the Web. 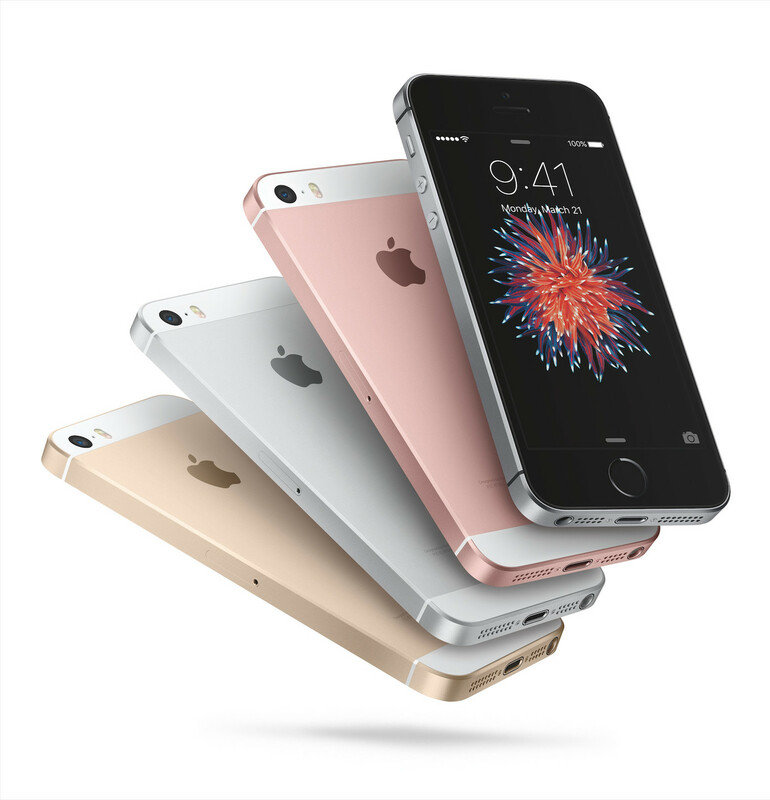 top Op-Ed: Did Apple's 'iPhone SE' event really loop us in?